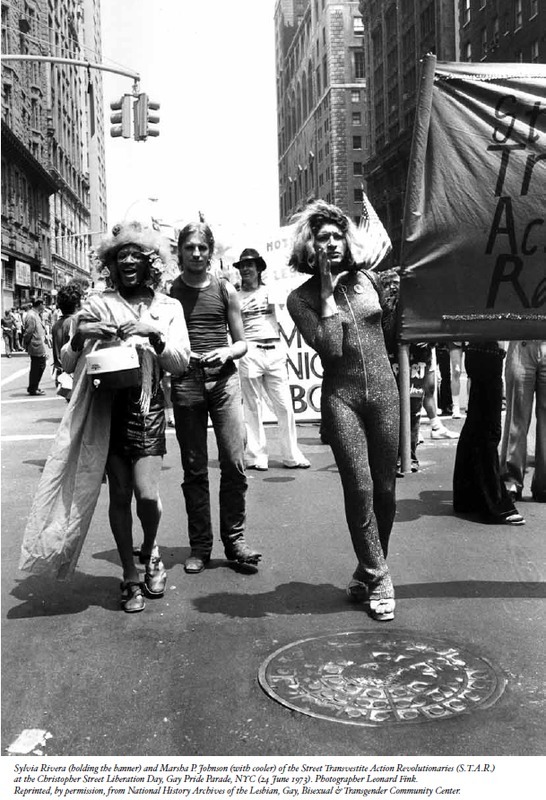 Sylvia Rivera (holding the banner) and Marsha P. Johnson (with cooler) of the Street Transvestite Action Revolutionaries (S.T.A.R.) at the Christopher Street Liberation Day Gay Pride Parade, NYC (24 June 1973). Photo by Leonard Fink.